When people discuss sourcing gold, they often think of towering mining operations drilling into the earth. However, there is another story unfolding on the surface: recycled gold. This approach seeks to reclaim gold from discarded goods, often electronics. The precious metals industry has embraced recycling as conventional mining operations struggle to keep pace with global demand. Unexpectedly, this demand is having a positive effect on the environment. Ravenous international appetite for gold has invigorated interest in the 50 million tons of e-waste generated each year. Recyclers are stemming the tide of this humanitarian and ecological threat. “In the U.S., consumers alone dispose of some 3.2 million tons of e-waste annually; more than 80% ends up in the trash,” reports one U.S. based precious metal recycling company. It seems the market is a solution. Moreover, “every 20 minutes the US discards one ton of cell phones containing over 70 times the amount of gold and silver found in virgin ore,” remarks the same company. Data from the World Gold Council echoes these findings as their researchers have determined that even the high point of gold recycling (2009) captured only 1% of the above ground stock. As an international community, we are throwing gold in the trash. However, some plan to do something about it. The untapped resource of e-waste has given rise to urban refineries. Recent technological innovations have made this process more efficient and therefore more affordable than ever before. The model centers around plasma arc technology, which focuses intense, controlled heat on electronic waste equipment to isolate gold from other components. Resultantly, recycling requires 10% of the energy used to mine gold. This system poses an enormous potential for countries like China where some regions receive thousands of tons of e-waste every hour. New methods designed to unlock the value of this mounting waste can simultaneously alleviate the problem of pollution while satiating surging demand. Today only 15% of the gold in these devices is recycled. As a result, millions in value is left to sit. 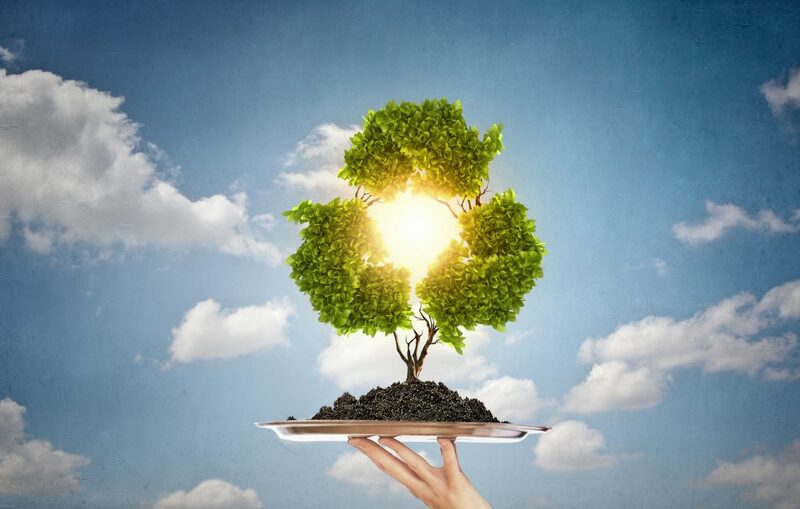 As technology pervades the developing world, we are guaranteed to see recycling opportunities grow as firms eager to capitalize on waste find more ways to become efficient. These urban refineries are proving the famous adage “necessity is the mother of invention," and the need will only grow. Case in point: "Mobile phone sales are expected to increase from 1.75 billion units in 2011 to 2.2 billion in 2017, and tablet sales will grow from 0.1 billion units to 0.5 billion in the same period,” according to the World Gold Council. Some companies see such value in the business of gold recycling that they are reaching for end-of-life electronics before they even reach the trash. UK business Mazuma Mobile went so far as to persuade customers with same-day cash payments for old cell phones. Meanwhile, as technology within the devices advances, the gold is becoming harder to harvest. Parts have become smaller. Circuit board gold contents are shrinking. The drive to free this gold from what would otherwise be another landfill underscores the fact that demand is alive and well. As we’ve reported in earlier posts, China’s reach for gold should buoy prices well through 2017. As always, the market will find a way to slake their thirst, and recycled stock will inevitably take a growing role. The future of gold production may not rest with the drillers of yesterday. Rather, the salvagers of tomorrow are finding ways to leverage their relatively small footprint to capture what is hiding in plain sight.